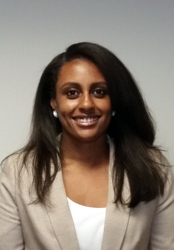 Dominique joined Maryland Primary Care Physicians in 2015. She came to MPCP from Johns Hopkins Medical Institutions with a deep background in office management and customer service. She holds a Master of Science degree in Health Administration from Saint Joseph’s University. As the Practice Manager of the Columbia location, Dominique leads a team of dedicated staff, and ensures day-to-day operational efficiency. She is strongly committed to assisting both patients and providers in all aspects of care using her extensive training, education, and experience.